Beyer Carpet Cleaning is growing rapidly which calls for changes in their carpet cleaning company. Over the past year Beyer Carpet Cleaning has cleaned schools, homes, businesses, vehicles and much more. As their name and great service continues to take them further Beyer Carpet Cleaning has decided it is time to expand. Over the past few months Beyer has looked into purchasing more vans to service more homes and businesses. These vans will be fully equipped just as their current vans are so if there is ever a cleaning need that wasn’t originally expected the carpet cleaning technicians will be able to take care of it on the spot. In the process of purchasing new vehicles to service Beyer Carpet Cleaning will also be looking for professional trust worthy technicians to run those incoming vans. 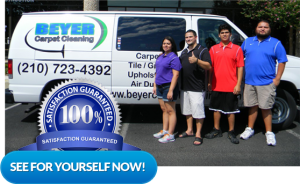 Carpet Cleaning San Antonio will have never seen such an outstanding business when Beyer Carpet Cleaning is done. On top of the expansion Beyer Carpet Cleaning has also increased the rate per step when cleaning stairs. It has come to their attention that the hard back breaking work is worth the increase so their technicians will be fairly paid for their cleaning job. 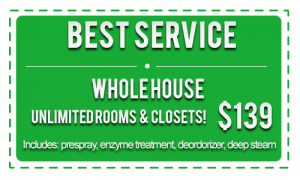 Beyer Carpet Cleaning San Antonio believes that all their technicians should be paid accordingly which makes Beyer one of the highest paying carpet cleaning companies in San Antonio. The cost of stairs has increased from $1.99 per step to $2.99 per step; however, in order to keep costs low Beyer Carpet Cleaning offers a 10% discount to new customers and military to be used towards the total cost of cleaning stairs. Not only are they offering this 10% discount Beyer Carpet Cleaning San Antonio has also decided to extend their coupon prices. This means that not only will Beyer technicians will be making more to support their families but the customer will also save money at the same time. Beyer Carpet Cleaning costs are well below the cost of other carpet cleaning San Antonio companies and will continue to be even with the increase in cost per step. Beyer Carpet Cleaning San Antonio wants to always provide the best and always wants to be available to their customers. In order for Beyer Carpet Cleaning to continue to keep these standards they are making these changes. This will not only better and strengthen the Beyer Carpet Cleaning company it will also better and strengthen their customer service. If you want the best and want to support a growing family owned and operated company call Beyer Carpet Cleaning San Antonio and find out why they are a 5 star rated carpet cleaning company!